from our well-appointed rural accommodation. Hiking/ mountain walking with over 100 routes mapped and described. Biking – Superb network of rural roads which are great favourites with international teams for their winter training. Other ideal activities include bird watching, painting photography , flora and general relaxation. Quatretondeta is located in the heart of the mountains of Alicante where we have 3 beautifully restored houses which are available for either self-catering and fully serviced with full board. 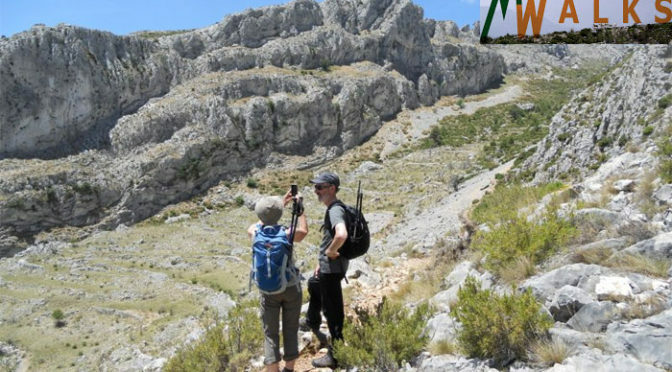 There is something here for every ability of walker from gentle walks through the countryside to strenuous days to satisfy the serious hikers and hill walkers. Independent walks / hikes are catered for from our own comprehensive catalogue of self guided walks which has been newly updated to include 119 walks, 1600 kilometres of footpaths and over 60,000 metres of ascent/descent. We have over 20 years experience working with major international tour operators and directly with guests to provide the best possible experience. The combination of great walks; suitable for most abilities; comfortable accommodation and excellent food have proved popular over the years. Many of our guests return again and again.